KROMA® VS. KHROMA: FLORIDA COSMETICS COMPANY FILES $10 MILLION TRADEMARK INFRINGEMENT LAWSUIT AGAINST THE KARDASHIAN SISTERS AND BOLDFACE Los Angeles, CA (January 10, 2013) – By Lee Tillett, Inc., a Florida based cosmetics company and owner of the KROMA® cosmetics line, has filed a $10 million counter-suit in federal court in Los Angeles against the Kardashian sisters, Boldface Licensing + Branding, and Boldface Group, Inc. (ticker symbol BLBK) alleging that the Kardashian’s cosmetics line, KHROMA, infringes By Lee Tillett’s KROMA® cosmetics line. Boldface’s KHROMA line launched with a world-wide media blitz in late 2012 and is endorsed and promoted by the Kardashian sisters. The maker of KROMA® alleges that the Kardashians and Boldface knew about the KROMA® mark prior to selecting and using a virtually identical mark for their own cosmetics line. The complaint alleges that Boldface launched its product line after the United States Patent and Trademark Office rejected Boldface’s application to register the KHROMA mark, citing a likelihood of confusion with KROMA’s® prior registered mark. The complaint further alleges that Kim Kardashian’s representatives discussed a product placement opportunity with the makers of KROMA® for The SPINdustry, a television special produced by Kim Kardashian but that the parties never reached an agreement. KROMA® founder Lee Cristou, stated, “I developed the KROMA® line myself, built my business through my own hard work, and took the legal steps necessary to protect it. And yet I have now been forced into legal battle with the Kardashians simply because they have decided to take something that doesn’t belong to them. But the law is the law for everybody, and I am confident that my rights will be vindicated by the courts.” According to Elliot Gipson of Fayer Gipson LLP, attorneys for the makers of KROMA®, “This lawsuit is about whether a big company is allowed to use a smaller company’s registered trademark for the same products without permission simply because the bigger company has celebrity endorsements and more resources. Our country’s trademark laws protect smaller companies from having their trademarks effectively co-opted by larger companies, notwithstanding the larger companies’ ability to saturate the media with celebrity endorsements and flood the market with new product.” This case previously made headlines in November 2012 when Boldface attempted to head off a trademark infringement lawsuit by pre-emptively suing the makers of KROMA® in California after settlement discussions between the parties broke down. By Lee Tillett, Inc. is a cosmetics company based in Altamonte, Florida. 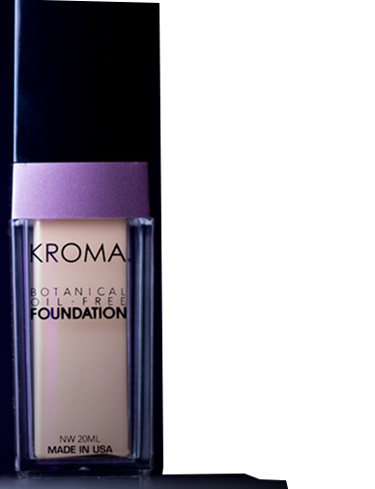 Its KROMA® brand is known for using all-natural ingredients to produce luxurious, rich botanical makeup products. The KROMA® line is created in the United States and distributed in the United States and Europe. KROMA® products have been featured in gift baskets at the Oscars, Emmys, Cannes Film Festival and at entertainment and fashion events around the world. By Lee Tillett, Inc. is represented by Elliot B. Gipson and Gregory A. Fayer of Fayer Gipson LLP in Los Angeles, California and Lauren Heatwole McCorvie of McCorvie Law Firm P.A. in Orlando, Florida. For further comment, please contact Mr. Gipson or Mr. Fayer at egipson@fayergipson.com, gfayer@fayergipson.com or (310) 557-3558. Mrs. McCorvie can be reached for further comment at lauren@mccorvielaw.com or (407) 490- 2467.